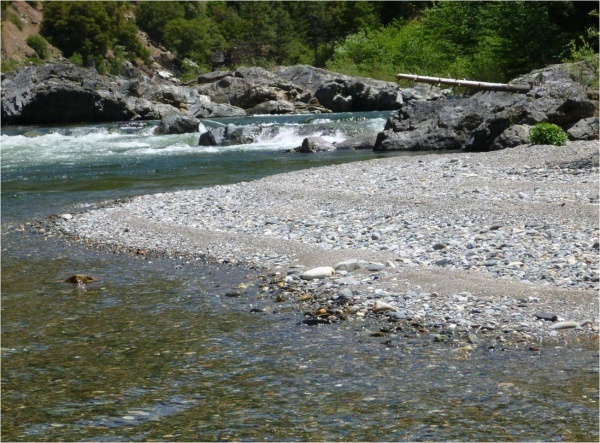 In managed river systems in the Sierra Nevada, increased understanding of the fundamental relationships between the spring snowmelt flow regime and abiotic and biotic stream conditions is needed to aid water resource managers in making the complex decisions required to balance multiple water resource needs. In this project, we seek to improve our understanding of the impacts of varying spring flow regimes on stream ecology, through empirical field studies, and water management, through hydropower optimization modeling. applying and enhancing existing systems analysis techniques for multi-reservoir hydropower operations with ecologically meaningful instream flow constraints. We expect the results from these tasks to be directly applicable in future relicensing projects where recent ecological knowledge and various modeling applications will be utilized to guide instream flow determinations. We aim to provide resource managers not only with increased knowledge regarding the ecology of the spring recession, but with a series of methods that help predict the impacts of various spring flow regimes on the diversity of aquatic and riparian species and the economics of hydropower production.